Here it is then, first game of a new season and a few new faces along with another new manager to kick things off for 2012/13. Ok, so Roberto Di Matteo was with us last season but that was a temporary arrangement after a decidedly dodgy spell under AVB. Hopefully our former manager started his season yesterday as he means to go on at his new club and this time out we’ll be hoping our latest manager gets what he needs to out of the squad in order to become a bit more of a permanent fixture. First up for us is Wigan away and probably a fixture we’d have shrugged off a couple of seasons back. Not so last season with a draw and a marginal, late win, so I’ll hold off with the excitement for now, even after Liverpool, Spurs and QPR opening day defeats yesterday. On the transfer front, Wigan have signed signed Arouna Kone, Fraser Fyvie and Ivan Ramis, Mauro Boselli has made a return following a loan spell that saw him become Estudiantes’ top scorer last season, Ryo Miyaichi has been brought in on loan from Arsenal, and of course for now, they still have Victor Moses. Chelsea meanwhile, have brought in Eden Hazard, Oscar and Marko Marin although let’s not forget we’ve lost Didier Drogba. 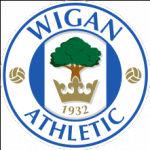 For Wigan, James McCarthy (back) is injured and summer signing Ivan Ramis (hamstring) is doubtful. Victor Moses is included despite the transfer speculation. For Chelsea, Marko Marin (hamstring) misses out but Branislav Ivanovic is available despite his red card in the Community Shield. Eden Hazard and Oscar may make their league debuts. CHELSEA: Provisional squad – Cech, Ferreira, Ivanovic, Terry, Cahill, Luiz, Cole, Bertrand, Mikel, Meireles, Malouda, Lampard, Ramires, Mata, Hazard, Oscar, Piazon, Torres, Sturridge, Turnbull. We haven’t been beat on the opening day since 1998 and in seven games away to Wigan we’ve also won five, to balance that though, only one of those wins has come in our last three trips to the DW Stadium. Wigan meanwhile, lost just one out of eight home games towards the end of last season whilst we didn’t do too well away. Add to that the fact we struggled a bit to get results against today’s opponents last season, and I’m not going to risk any undue optimism after our pre-season by suggesting we could come away with anything more than a point today. 3 points is ours! 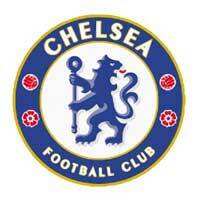 Go Chelsea! Go! Blue is the colour!!! go send a signal to the rest teams.